The FCC may have spoiled the surprise, but Sony's now gone official with yet another smartphone and this one's for its native Japan. The Xperia UL appears to be a slightly thicker riff on the Xperia Z, matching the display of the company's early-2013 flagship, with a quad-core 1.5GHz Snapdragon S4 Pro (APQ8064) ticking behind the 5-inch 1080p screen. It's worth noting that it's a substantial resolution bump from the similar-looking 720p NTT DoCoMo Xperia A. Although it's not the Snapdragon 600 rumored, Qualcomm's S4 Pro flexes its muscle through Exmor RS 13-megapixel camera sensor, offering up the ability to capture 15 frames in a second. NFC, naturally, is already in attendance as well as the Felica wireless payment system. You'll also get the benefits of both a physical camera button and water (IPX5/8) and dust resistance (IP5X) -- two features in tandem that should help separate it from Sony's pair of existing 5-inch 1080p smartphones. 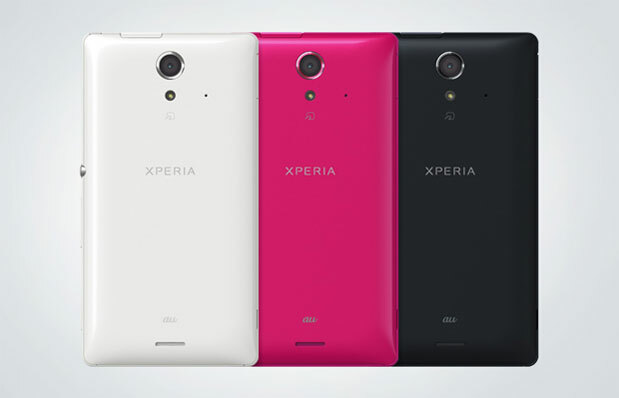 The Xperia UL will launch on KDDI's au network in white, black and hot pink colors on May 25th. Check out the obligatory close-up ad after the break. Update: The Xperia UL runs on an S4 Pro processor, not the Snapdragon 600 initially stated. Europa Report Trailer: Watch Now!